Neymar has set his sights on leaving Paris Saint-Germain for ​Real Madrid this summer after asking to 'sit down and negotiate his departure', according to reports in Spain. The 26-year-old, who is currently fighting to return to fitness ahead of this summer's World Cup after suffering a broken metatarsal in February, is said to be regretting his decision to join such an uncompetitive league as Ligue 1; with the French capital outfit securing the title at a canter and currently sitting 17 points ahead of Olympique Lyonnais. And according to ​Marca, the absence of any challenge as well as reported fractures in the PSG dressing room involving the Brazilian and his Argentine team-mates, Angel Di Maria, Javier Pastore and Giovanni Lo Celso has led the superstar striker to seek a move elsewhere. 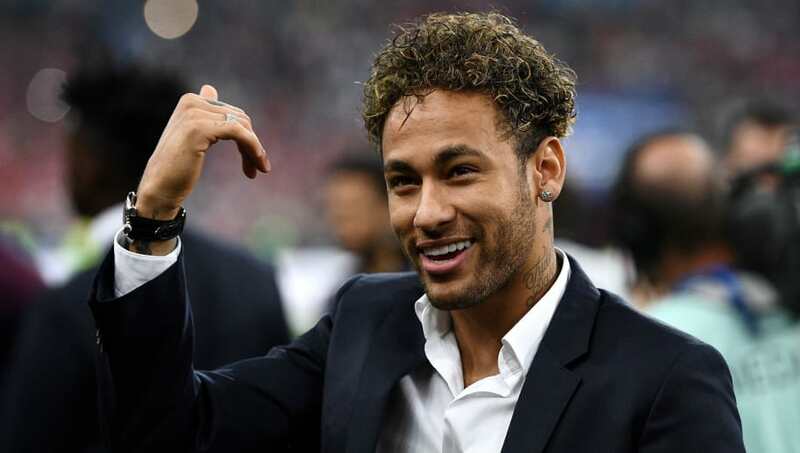 Neymar's father - Neymar Sr. - is said to be the driving force behind the proposed exit, and has reportedly told club president Nasser Al Khelaifi that his son wants to leave. The report claims that the former Barcelona attacker's feelings have been made known to the ​Real Madrid hierarchy since December, where the frontman allegedly met with Los Blancos' chiefs during the Golden Ball award ceremony and insisted he would be willing to force his way out of the Parc des Princes to become the Spanish outfit's next Galactico. According to ​Le Parisien, the Russia-bound frontman has also already warned his teammates that should he get his hands on the World Cup this summer; he will not be returning to France. Should that turn out to be the case, it could dampen any hopes of PSG securing European success; something that continues to evade the big-spending force.